A source at German group Siemens said Brussels had posed "insurmountable" demands for concessions that the groups would not make. Meanwhile Alstom, maker of France's iconic TGV trains, said there was "no certainty" the companies could mollify the Commission. Both Paris and Berlin have thrown their weight behind the proposed Siemens-Alstom tie-up, saying the arrival of Chinese giant CRRC on the global market will put European manufacturers in the shade. It would be "an economic mistake and a political failing", as well as a "negative signal to the peoples of Europe" to block the merger, French government spokesman Benjamin Griveaux said Wednesday. If approved, the merger would create a rail behemoth with operations in 60 countries and annual turnover of 15.6 billion euros ($17.8 billion). Alone, CRRC's annual revenues of 26 billion euros outweigh the three Western heavyweights Bombardier, Siemens and Alstom, each of which brings in around eight billion a year. It has already snapped up significant contracts in US cities like Boston, Los Angeles and Philadelphia, as well as in European nations like Serbia, Macedonia or the Czech Republic. But the alleged Chinese danger has failed to impress EU Competition Commissioner Margrethe Vestager. The Financial Times reported Wednesday that she was unmoved by pleas from the two capitals, urging other members of the EU's executive arm to stick to existing antitrust rules. Like other national authorities, Germany's market watchdog the Bundeskartellamt has warned the Siemens-Alstom deal would create an overly dominant player, and that the concessions offered were "neither suitable nor sufficient", according to press reports earlier this week. Alstom insisted Thursday that proposed concessions worth four percent of the firms' combined annual revenue "take into account the Commission's concerns while preserving the economic and industrial fundamentals of the transaction". 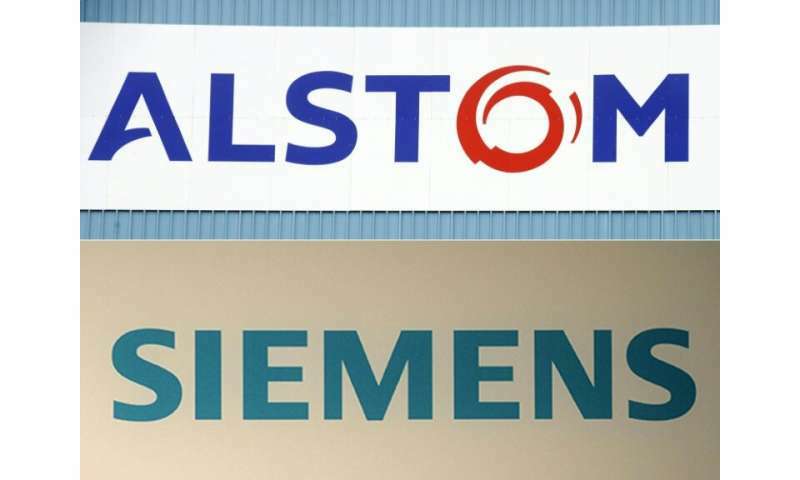 Siemens and Alstom have offered to sell off some business activities and license other technologies, hoping to allay Commission fears the new combination could dominate the European market for rail signalling and high-speed trains. But Siemens is adamant it will not give up its next-generation high-speed technology to secure a green light. From the start, the Munich-based giant agreed to give up its older Velaro trains and offered some concessions on the second-generation Velaro Novo under pressure from Brussels. The firm then balked at the Commission's demand that it license a collection of patents and technology licenses related to future high-speed rolling stock, bundled together in an entity known as Velaro3G System, the source inside the company said. "On the one hand, we have the fear of competition from China. On the other, we have to offer a competitor ten years' exclusivity" on the technology, they complained. If the new entity were to give up the Velaro3G, they would be "completely shut out from high-speed train development in Europe for ten years," the source added. With until February 18 to deliver a decision on the merger, the European Commission declined to comment Thursday when contacted by AFP.